DETROIT (AP) — Christin Stewart hit a two-out grand slam in the seventh inning, lifting the Detroit Tigers to a 7-4 victory over the Kansas City Royals on Saturday. 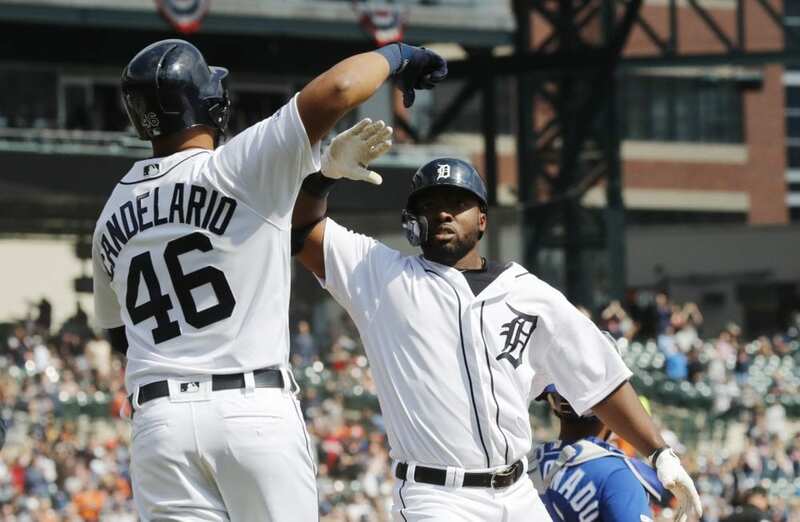 The Tigers trailed 4-2 in the seventh but rallied against Kansas City’s struggling bullpen. Kevin McCarthy (0-1) allowed three hits and a hit batter. The only out on his watch came with the score 4-3, when Alex Gordon threw Josh Harrison out at the plate. Detroit eventually loaded the bases with two out, and Stewart hit a drive down the line in right field off Wily Peralta. It was the second home run of the season for Detroit’s rookie outfielder. Stewart’s other one was also big — a 10th-inning shot at Toronto that provided all the scoring in a 2-0 victory in the season opener. Tigers starter Matt Moore retired the first eight hitters he faced, but he left the game after three innings with a sprained right knee. Detroit led 2-0 in the sixth when Merrifield hit a solo shot, extending his hitting streak to 27 games. 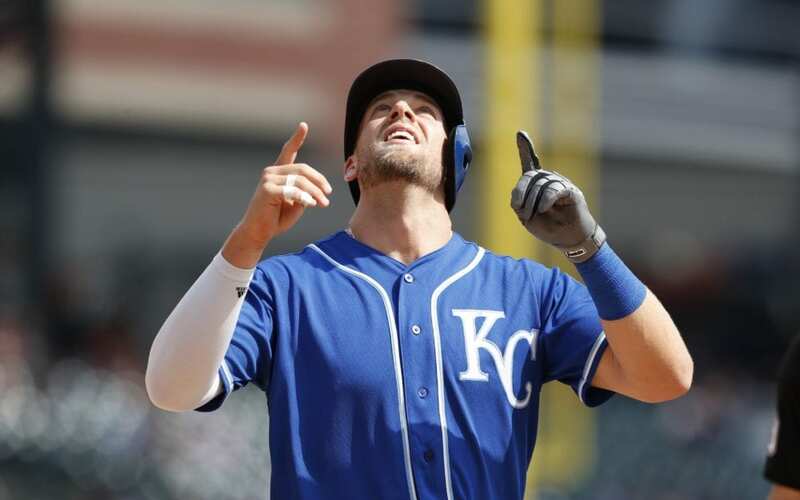 Kansas City then tied it in the seventh on a home run by Soler, and Dozier hit a two-run homer off Victor Alcantara (2-0) later that inning. 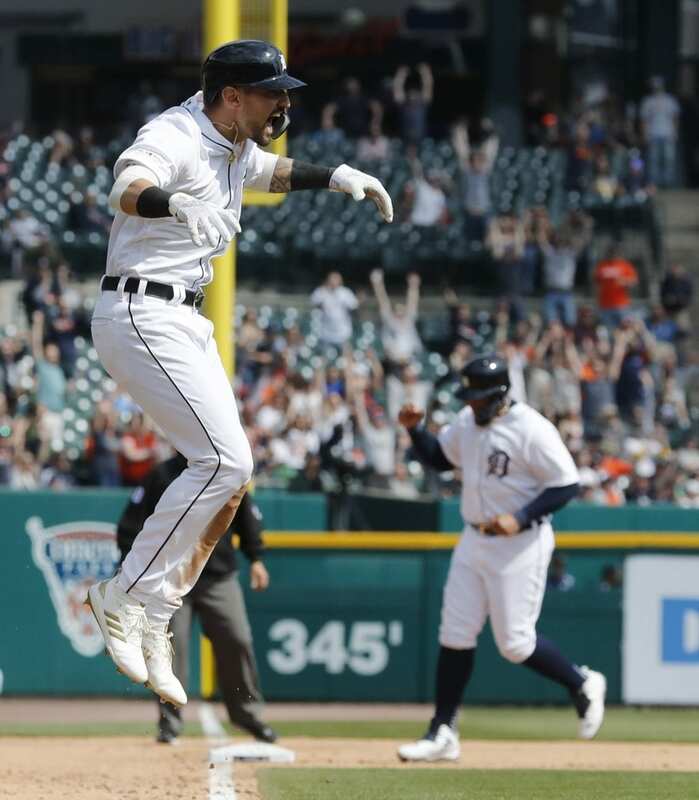 Be the first to comment on "Stewart’s Grand Slam Lifts Tigers Over Royals 7-4"